I recently learned that in some ancient cultures, it was common to hire professional mourners to wail at funerals. Also known as moirologists, their duties could possibly include delivering a eulogy or simply weeping, moaning and crying loudly. Upon further investigation, I discovered that even in current times, there are Mediterranean, Near Eastern and other cultures who still participate in this practice. In the U.K. someone established a business called Rent a Mourner! Imagine crying and wailing and actually getting paid for your emotional outbursts of sorrow? I know some chronic complainers who would probably excel at and love that job. As caring siblings, children, parents and grandparents, don’t we sometimes want to mourn the poor choices and resulting situations of loved ones? One lesson that God has recently been teaching me is that I simply can’t control what other people choose to do, although I’d like to. I so wish that I could pave the way for my loved ones to walk in the lighted pathway the Lord has planned for them and never detour, but I can’t accomplish that any more than my own parents could spare me from making less than stellar decisions during my teenage and young adult years. So what can I do? I can be vigilant as their prayer warrior. I can literally get on my knees and pray that they won’t stray too far away and that their early upbringing will always bring them back into the loving arms of Christ. They were already forgiven at the cross. Since prayer is really the only way I can help besides showing them tons of love and making sure they know they are in my daily prayers, I choose joy. I choose not letting the decisions and acts of others steal my joy. I choose remembering that I can’t dictate their actions, and so I will be a professional joy generator. 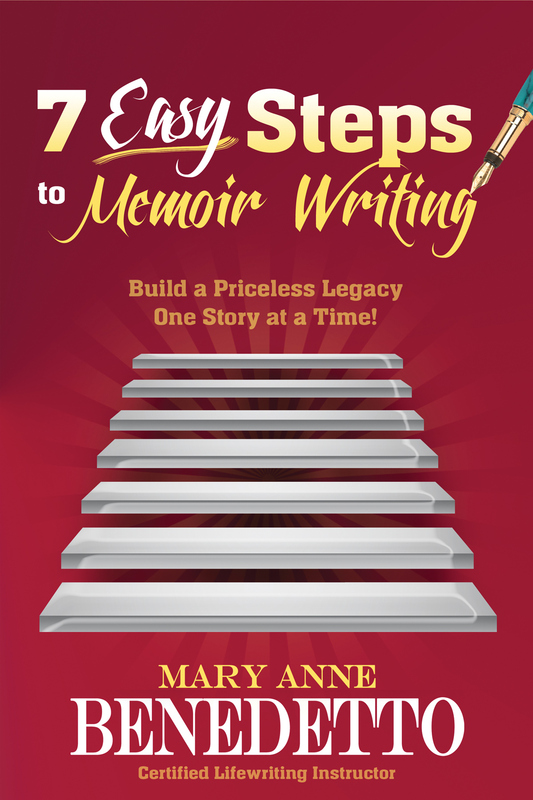 Mary Anne Benedetto is a Certified Lifewriting Instructor and the author of 7 Easy Steps to Memoir Writing: Build a Priceless Legacy One Story at a Time!, Eyelash and Never Say Perfect. Please visit her at www.awriterspresence.com and www.maryannebenedetto.blogspot.com.